Dimension(L x W x H): 2.7" x 2.7" x 1.6" (7 x 7 x 4cm); Weight: 85g. 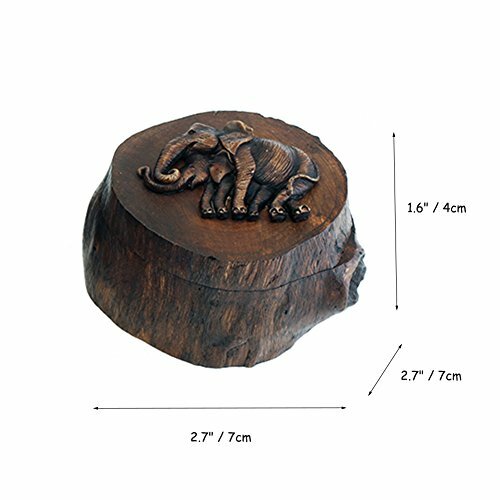 The Indian elephant ring/jewelry box is made of natural teakwood, a variety of that is prized for its strength. Because it is handmade, the shape of handicrafts are unique. 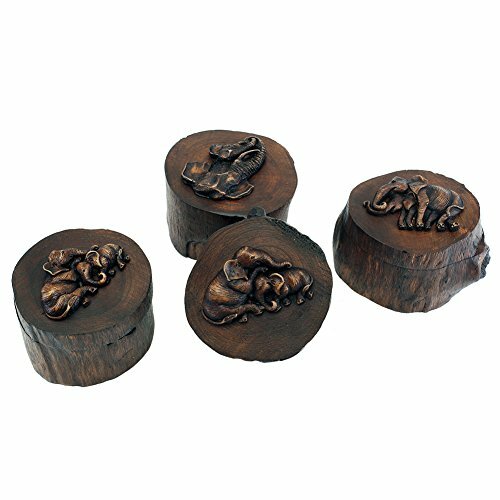 Anyone who loves animals or elephants will treasure this ring/jewelry/keepsake box. Perfect for wedding anniversary gift, Christmas gift, thanksgiving gift, valentine's day gift, birthday gift, holiday gifts, mother's day gifts, and Easter gifts. 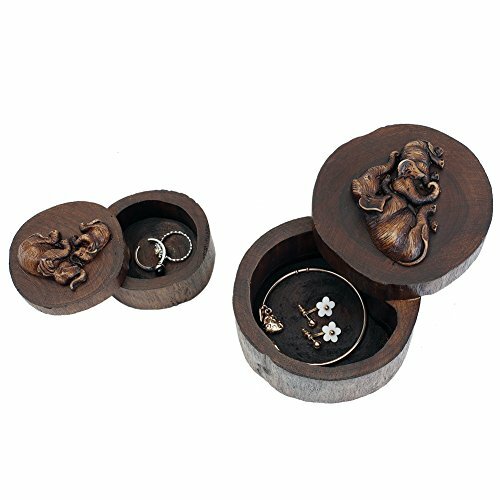 1.These jewelry box were made of natural teakwood, if there is any odor , simply open the box and put it in a well-ventilated place for several days. 2.Made of natural wood, so the product grain will be different, scarring and other phenomena. It's normal. 3.Made by hand, so each one's dimension and weight maybe different.